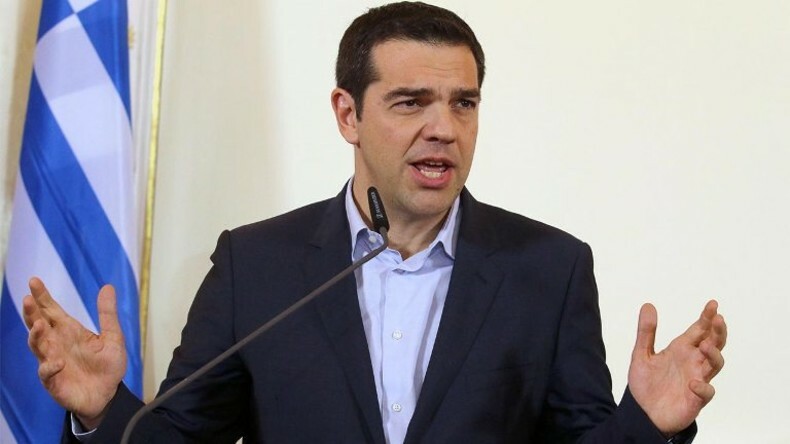 Greek Prime Minister Alexis Tsipras tried to portray the forced renaming of Macedonia as a win for “dialogue and European solutions”. Speaking at the summit of Southern EU countries in Cyprus, the Greek Prime Minister painted a dividing line between Europe’s North and South, insisting that the South is now more committed to the EU ideas. We send a message of walking together to look for common European solutions. Our message from resolving the nearly 30 years long dispute with “North Macedonia” is that there are European solutions which can be reached through dialogue, Tsipras said. The renaming was enforced despite being rejected by the Macedonian citizens at a referendum, while Greece did not even hold a referendum, aware that a large majority of the citizens oppose the deal. Members of Parliament in Macedonia were publicly threatened with criminal charges, and some of them received significant public contracts, after deciding to vote in favor of the new name. In the Greek Parliament, several representatives who opposed the deal also crossed over to Tsipras’ side, while opposition parties accused him of corruption in this case. Tsipras portrayed the south of Europe as a “political oasis” of the left, lauding his fellow Socialist leaders of Portugal and Spain. This broad progressive alliance will have a clear position against neoliberalism and those policies that fuel the far-right and anti-European populism. But it will also come with a clear position in favour of Europe, in favour of a Europe of democracy, social cohesion and rights, Tsipras said.